In the late 18th century, Wolfgang von Kempelen amazed the world with his chess playing automaton, the Mechanical Turk, as it defeated worthy opponents including Napoleon Bonaparte and Benjamin Franklin. Onlookers were amazed at how a device of gears and sprockets had been able to master the complexities of chess and demanded to know what was inside. As it turned out, the chassis of the Mechanical Turk actually housed a human being – a simple yet highly-effective deceit made possible by the inability of onlookers to take a peek inside. While the story of the Mechanical Turk is more than 100 years old, it may be a useful parable for modern society’s increasing use of artificial intelligence (AI), and how we are often relying on findings with little understanding of how they are reached. The opacity of AI systems has significant potential for abuse, particularly through the long-term impact of intentional or even unintentional biases in the data. It is a topic that has also become prominent in thinking of many computer scientists and researchers, and given rise to the concept of Explainable AI. One of the advocates for the potential of Explainable AI is Stanford University’s Executive Director of Strategic Research Initiatives in Computer Science, Dr Stephen Eglash. Speaking to CMO ahead of his appearance at the Melbourne Business Analytics Conference on 19 July, Dr Eglash described how we have created AI systems that are effectively ‘black boxes’ whose results and decisions can be upsetting to those they impact when we have no idea of how those results are produced. “If an AI system is helping a loan officer at a bank determine whether you are eligible for a loan, and it decides to reject your loan application, it’s reasonable to expect an explanation,” Dr Eglash says. The loan applicant Dr Eglash describes may have no idea how the system came to reject their application – or whether it might have been working from data or an algorithm that was somehow prejudiced against the applicant. 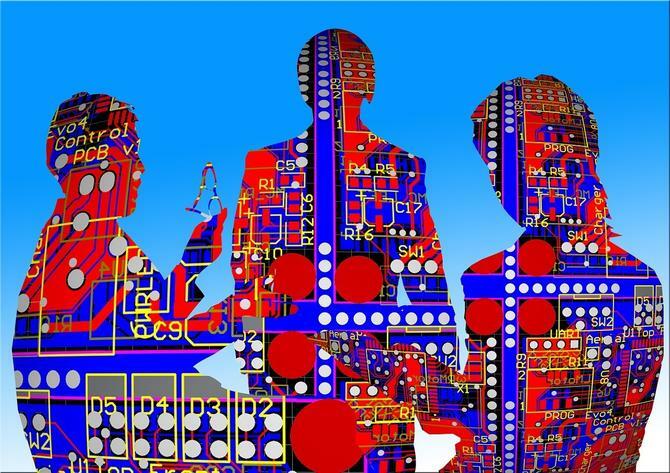 “So explainable AI refers to a whole group of different approaches that people are taking to peel back the curtain on that and understand the inner workings of these AI systems,” Dr Eglash says. One of these methods is to test AIs using different inputs to determine how it is making decisions. A simple example is an AI that has been designed to recognise images of cats. Recent research shows that by feeding that AI partial or doctored images it is possible to determine what parts of the image correspond to “cat” and the point at which the AI’s ability to recognise cats fails. Dr Eglash says this process might also make AIs more resilient, by uncovering the circumstances under which they might fail to make the best decisions. In his role at Stanford University Dr Eglash meets with as many as 200 companies and other organisations each year, and says he is pleased many of these conversations now include some reference to the ethics of emerging technology. He points out self-interest can be a useful driver of these conclusions, such as through wanting to attract and retain younger workers or to send a positive message to customers. “Whatever the motivations, I definitely have a sense from the companies that I meet with that we are hearing a lot more about humanitarian and social concerns,” Dr Eglash says. Hence while the current era represents an incredibly exciting time for marketing and customer service, Dr Eglash says marketers shouldn’t leave their integrity at the front door when they arrive at work.